A recent study—described in two papers, including one published today (May 14) in the Journal of Nutrition—provides new evidence that yogurt may help dampen chronic inflammation. 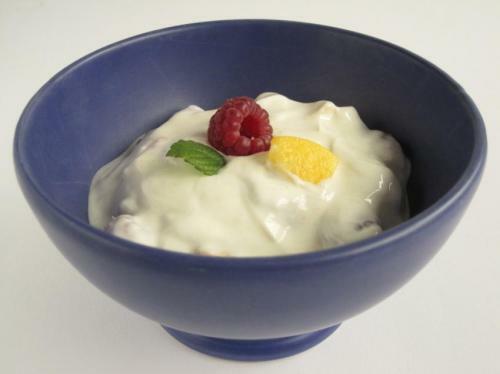 The study explored the hypothesis that yogurt may help reduce inflammation by improving the integrity of the intestinal lining, thus preventing endotoxins—pro-inflammatory molecules produced by gut microbes—from crossing into the blood stream. While anti-inflammatory medications like aspirin, naproxen, hydrocortisone and prednisone can help mitigate the effects of chronic inflammation, each comes with its own risks and side effects. There is a need for additional options—particularly safe, gentle, long-term treatments. Researchers have been exploring dairy products as a potential dietary treatment for more than two decades. Findings have been mixed, setting up a scientific debate about whether dairy products are pro-inflammatory or anti-inflammatory. Bolling's study doesn't identify which compounds in yogurt are responsible for the shift in biomarkers associated with the health-promoting effect—or how they act in the body. Solving that piece of the puzzle will require more research, Bolling notes.